The soon to be incredible machine. 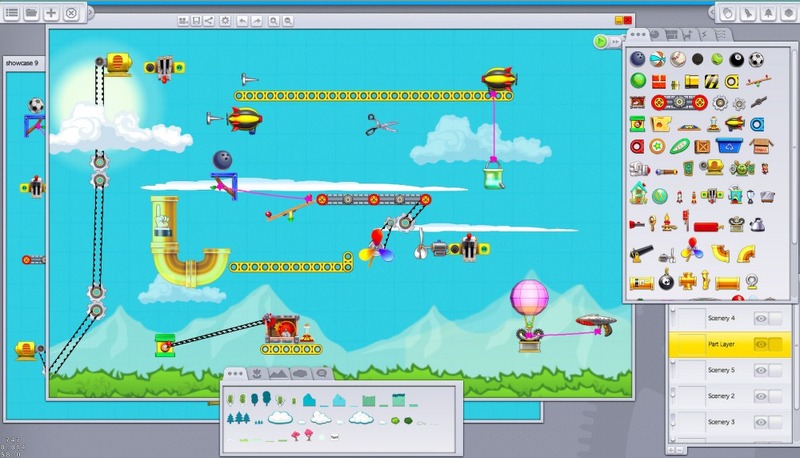 Contraption Maker is a creative sandbox / puzzle game currently in development by the makers of The Incredible Machine. It hit Steam's Early Access program a few days ago, giving us the chance to sit down and tool around with the bits and bobs that make up the untamed world of digital Rube Goldberg machines. If you've never played The Incredible Machine, you probably have an undiagnosed condition we'll refer to as Incapable of Having Fun...itosis. Or something. The basic premise of it and Contraption Maker is to place items from your inventory to solve simple puzzles using realistic physics. Ball falls here, turns on toaster, shoots toast to activate rocket, that sort of thing. Ready to make a smoothie? Fortunately, all you have to do is turn on the blender. How do you turn on the blender? Glad you asked. 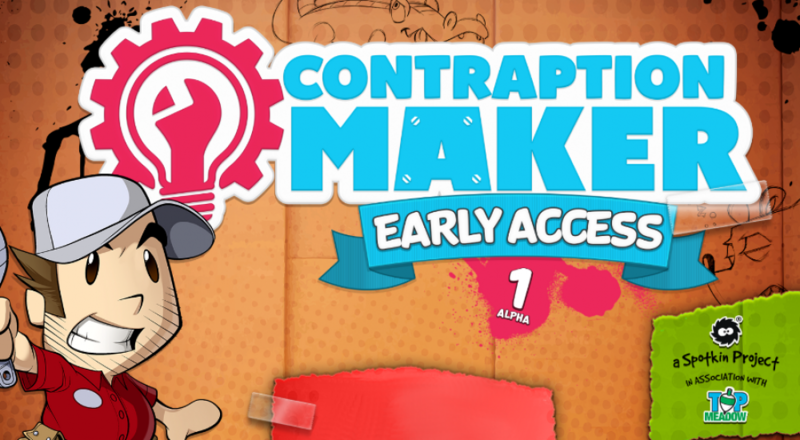 Contraption Maker never does things the easy way, which is why it's so fun, even in such an early stage of development. Puzzles involve stringing together long chains of events that eventually accomplish a simple task. The smoothie level, for example, supplies you with some platforms, several bowling balls, a mouse in a cage, and a blender at the far end. All of this stuff is fixed in place, all you can do is drag and drop a few lever platforms, a springboard, and a few other items from your inventory. Sit and experiment all you like, pressing the "play" button after each tweak to see how things work. Eventually you'll come up with a contraption that flips the blender's switch, producing a delicious green smoothie to drink. Page created in 0.2373 seconds.